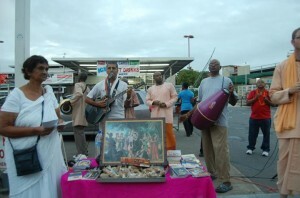 In cities, towns and villages all over the world members of ISKCON can be seen chanting and dancing in the streets, attracting many a passer by. 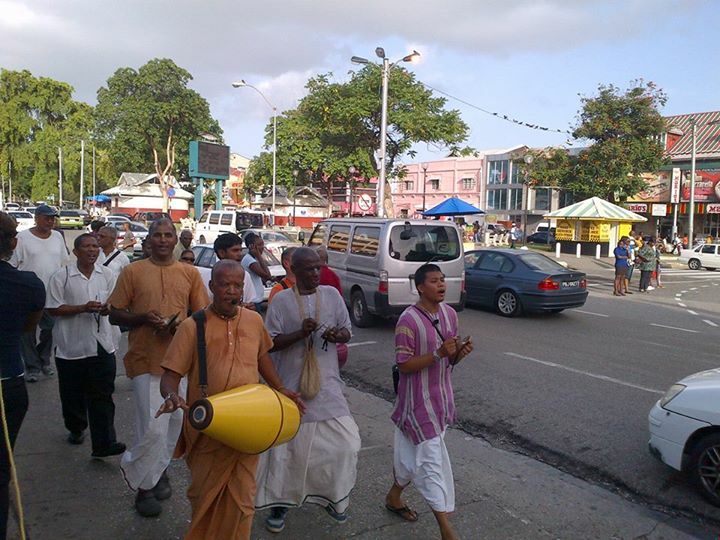 In Trinidad and Tobago this is no exception, devotees go out on an almost daily basis under the expert stewardship of veteran chanter Agnideva dasa himself. Famous throughout ISKCON as the man with the golden voice, Agnideva takes devotees out on public harinamas 5 or 6 days a week, targeting a different town each day. Harinamas also take place in the form of pada-yatra processions through different villages through the country as well and are conducted by our various temples. 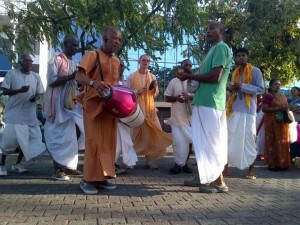 To find out the harinam schedule feel free to contact us.